Family doctors staged a national protest in Dublin this afternoon calling for better investment in the GP care system. 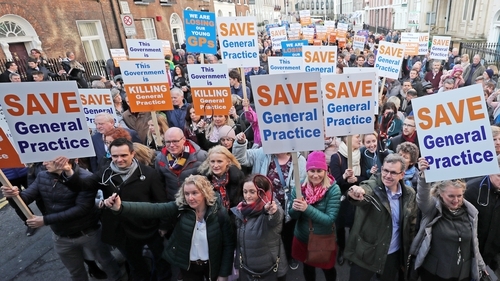 The National Association of GPs said that around 300 members attended the event outside the Dáil. The association, which represents about 2,000 family doctors, said general practice has been abandoned due to a lack of Government investment and a failure to reverse past cuts to GPs' fees. Dr Andrew Jordan, NAGP chair, said that annual funding for the service should be closer to €1bn, as opposed to the current €555m a year. He claimed the Government was "killing" general practice and the protest was the only way that doctors could highlight to ministers that general practice was dying. To allow doctors from around the country to attend the protest, the association said some practices were closed today. As a result, some patients may have difficulties attending their GP for a routine visit. Intensive talks are under way between the Government and a rival union, the Irish Medical Organisation, on a new deal for GPs. The IMO has said it hoped to reach agreement over the coming weeks but that is not guaranteed. In response to the protest, a spokeswoman for Minister for Health Simon Harris said: "The State's negotiating team is keen to bring a renewed focus to the engagement with the IMO in coming weeks in an effort to bring matters to a conclusion. "The IMO has updated its members to advise them of the progress made. "The Government looks forward to positive and productive engagement with all parties concerned. 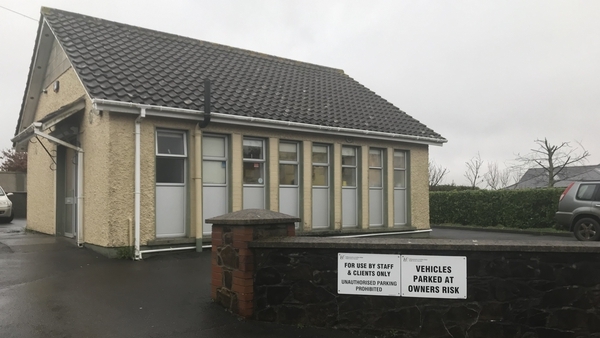 Agreement on the delivery of service improvements and contractual reform would facilitate a very substantial increase in the resourcing of general practice on a multi annual basis."